For judgment is without mercy to him who has shown no mercy. The Message Bible says... Kind mercy wins over harsh judgment every time. The law of mercy and grace actually overrules the law of judgment. I don't know how you feel when you think about this promise, but I am thankful to God that His mercy does indeed win the day! I am painfully aware that in my own life, I need all the mercy that I can get. So if I want mercy for myself, I better be a dispenser of mercy to everyone I meet too! God loves mercy and He loves it when His kids are mercy-full. My prayer is that we would be a people who continue to walk in the amazing love and mercy that God bestows on us, so that we can be a vessel of His mercy to others. 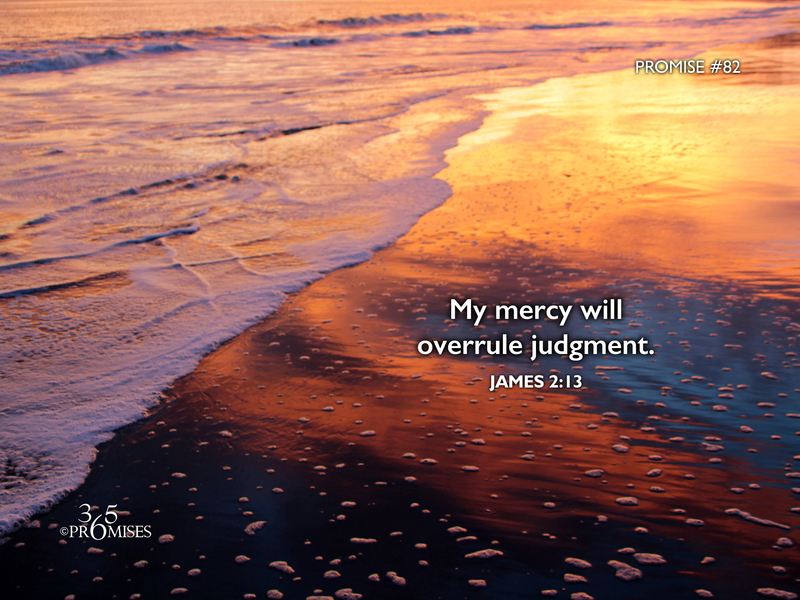 The mercy of our God and Father will triumph over every form of judgment in your own life. Believe it. Receive it. Love it... and give it away!